Tax cuts have delivered more jobs and higher pay for North Carolina residents, with the Tar Heel state’s economy growing faster than the national average in each of the last three years. Such data is of no concern to the George Soros-funded Budget & Tax Center, a project of the NC Justice Center, which has a much different message for North Carolinians. The Civitas Institute noted on Oct. 26 that “for starters, roads and highways are funded almost exclusively from the gas tax and vehicle registrations – revenue streams not impacted by the income tax cuts being addressed in the Justice Center’s article. Moreover, the article’s author must have forgotten about the $2 billion infrastructure bond passed this spring. Brent Lane, Director of the UNC Center for Competitive Economies at UNC-Chapel Hill, said data proves that North Carolina’s economy has outperformed national averages in several measures. 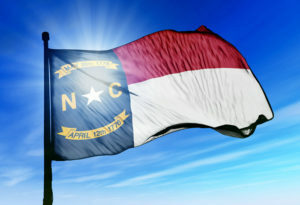 North Carolina has created 441,600 new jobs since January of 2011, a growth rate exceeding 11 percent. The state’s unemployment rate has dropped from 10.4 percent in January 2011 to 4.6 percent, now below the national average. Beginning in 2014, North Carolina’s per capita income growth rate has exceeded the U.S. average for eleven consecutive quarters, the best such streak in the Tar Heel State since 1996. North Carolina’s median household income recorded the highest rate of growth in the country over the previous three years – more than doubling the national average. In 2012, N.C.’s median household income ranked 46th in the country, and in three years has climbed to 37th. That figure is likely to rise further in 2016. North Carolina’s overall economy – as measured by state GDP – grew faster than the national economy in each of the last three years. The state’s poverty rate has dropped from 18.6 percent in 2013 to 15.3 percent in 2015.